There will be no school on Friday, April 19 due to Spring Break. Although Monday, April 22, was initially scheduled as a day off; school will be in session due to a snow make-up day. Again, School will not be in session on Friday, April 19. School will be in session on Monday, April 22 to make-up for a missed snow day. March Teacher Winner: Dana Thomassen (Pate Early Childhood Center)-Jimmy Michel Motors Monthly Car Program. Congratulations Dana and thanks to the sponsors of the program. 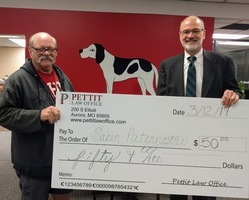 February Staff Member Winner: Sabin Paternostro (Bus Driver)-$50 from Pettit Law Office. Congratulations Sabin and thanks to the sponsors of the program. 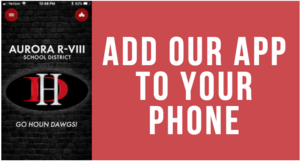 The Aurora R-VIII School District is currently looking for nurse subs for the remainder of the 2018-19 school year. 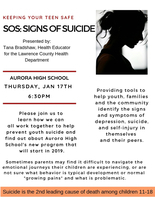 Please contact Mrs. Kala Brown, Health Services Coordinator, for more information. She may be reached at 678-3355 or at kbrown@aurorar8.org. January Teacher Winner: Karen Bader (Pate Early Childhood Center Counselor)-$50 from Pettit Law Office. Congratulations Karen and thanks to the sponsors of the program. 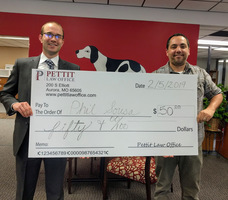 January Staff Member Winner: Phil Sousa (High School Apple Guru)-$50 from Pettit Law Office. Congratulations Phil and thanks to the sponsors of the program. 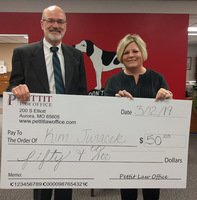 December Staff Member Winner: Mindy Wagner (Elementary Administrative Assistant)-$50 from Pettit Law Office. Congratulations Mindy and thanks to the sponsors of the program. December Teacher Winner: Melissa Fieker (Intermediate Special Education)-Jimmy Michel Motors Monthly Car Program. Congratulations Melissa and thanks to the sponsors of the program. December Teacher Winner: Roger Ball (Junior High Social Studies)-$50 from Pettit Law Office. Congratulations Roger and thanks to the sponsors of the program. November Teacher Winner: Teri Hunter (Pate Reading Interventionist)-$50 from Pettit Law Office. Congratulations Teri and thanks to the sponsors of the program. November Staff Member Winner: Liz Salyers (Bus Driver)-$50 from Pettit Law Office. Congratulations Liz and thanks to the sponsors of the program. 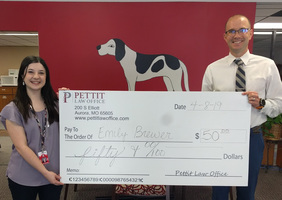 October Staff Member Winner: Amy Shaw (Instructional Technology Coach)-$50 from Pettit Law Office. Congratulations Amy and thanks to the sponsors of the program. October Teacher Winner: Stephanie Brown (ELL Teacher)-$50 from Pettit Law Office. Congratulations to all and thanks to the sponsors of the program. October Teacher of the Month Winner: Nancy Jackson-Bean (HS and Alternative School Teacher)-Jimmy Michel Motors Courtesy Vehicle. Congratulations and thanks to the sponsors of the program. September Teacher of the Month Winner: Libby Mills (JH Teacher)-Jimmy Michel Motors Courtesy Vehicle. Congratulations and thanks to the sponsors of the program. 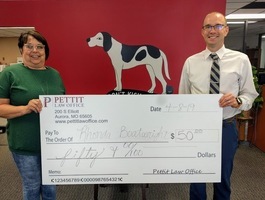 September Teacher Winner: Shawn Hines (HS Teacher)-$50 from Pettit Law Office. Congratulations to all and thanks to the sponsors of the program. September Staff Member Winner: Gary Gage (Sodexo-Pate)-$50 from Pettit Law Office. Congratulations Gary and thanks to the sponsors of the program.